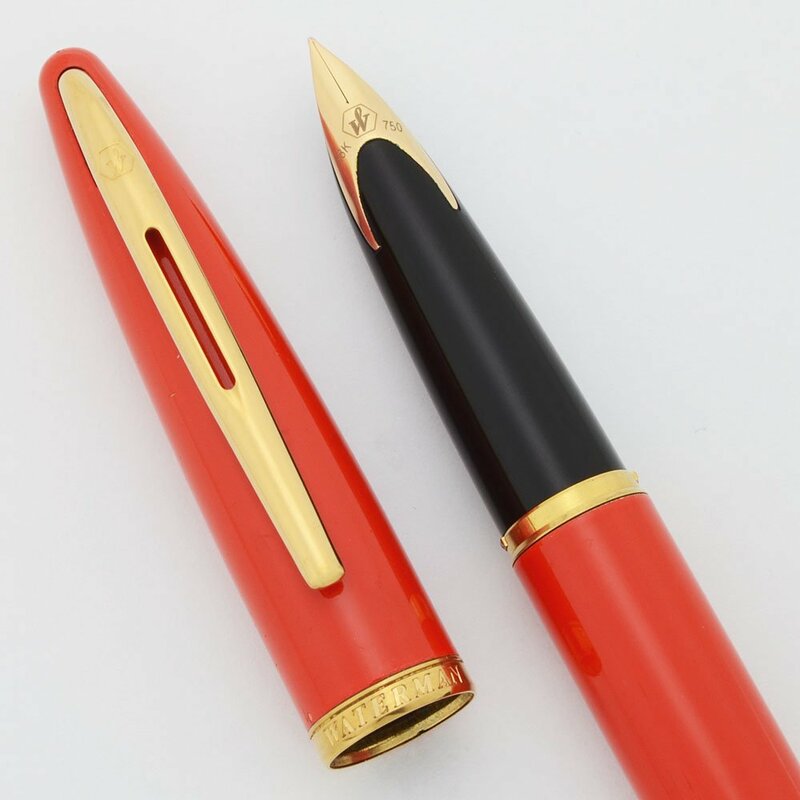 Waterman Carene fountain pen with a fine 18k nib. 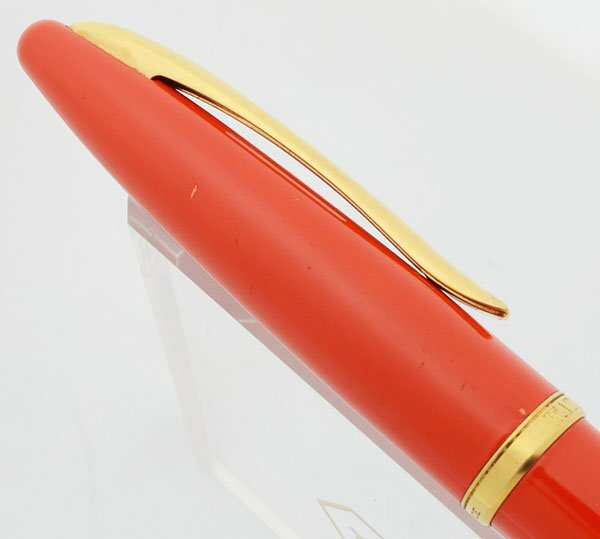 Discontinued Coral Orange lacquer with gold plated trim. Very nice condition and working well with installed converter. 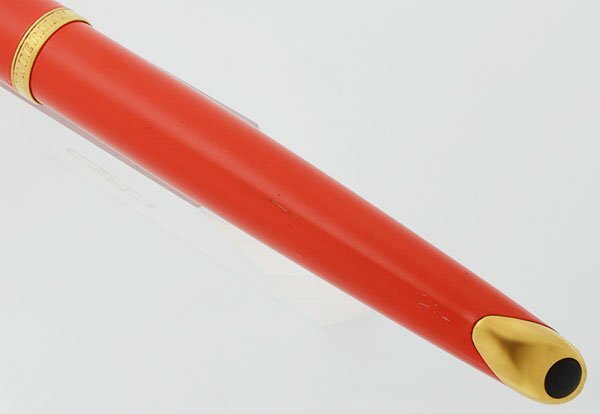 Product Name Carene - Our 1998 product catalog calls this pen color Coral Orange with product ID 11102. Manufacturer and Year Waterman, France -- 1997-2003, this was a launch finish discontinued around 2003. Filling System Takes international style cartridges and converters. A Waterman piston converter is installed. Color Coral red-orange lacquer called Coral Orange. It is a rich red orange with gold plated trim. 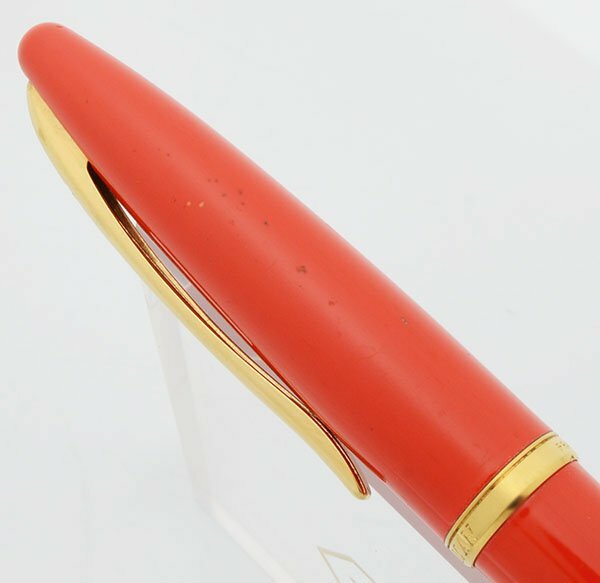 Nib FINE 18k nib, the section is marked F.
Condition Very nice condition. There are small dots of enamel wear on the cap and barrel. Most of the wear is not immediately noticeable. Some spots are white and some are dark and go through to the metal. On the cap they are most concentrated to the right of the clip. There is a 3/16" long scratch that goes through to the metal on the barrel. The cap band has a ding and early plating wear. The gold plated piece at the end of the barrel also has some dings.